On October 10, five judges of the federal court will present their view on whether secrecy laws should apply to any employee of a Swiss bank, no matter where they reside and work, as long as he/she holds an contract with a bank that is domiciled in Switzerland. Editor’s Note: For nearly 14 years, Rudolf Elmer has tried to chip away at the principle of Swiss banking secrecy, which laid the groundwork for an international system that helped the world’s rich and multinational conglomerates evade billions of dollars in taxes through offshore financial structures and tax havens. Elmer was the Chief Operating Officer of the Caribbean operations of the Swiss bank, Julius Baer, for eight years before being dismissed in 2002. He was, as The Wire has noted in a 2017 interview, was part of the first wave of Swiss bank whistleblowers who helped expose the inner workings of a patently unjust system. In 2011, he was tried for sharing information about tax evasion, money laundering and other financial violations with Swiss tax authorities and Swiss newspapers. In 2014 he was tried for sharing information with US, German tax authorities and WikiLeaks. While it’s unclear if the Americans made use of Elmer’s data, in early 2016, Julius Baer coughed up $547 million in fines after the Obama administration filed criminal charges against the bank. The German government went onto levy another EUR 50 million penalty. Both fines were paid instantly in order to avoid prosecution. Elmer’s crusade has taken a personal toll as well. Due to multiple cases, he has been imprisoned for over 220 days, most of it solitary confinement, and has had to fend off an orchestrated harassment campaign against his family. 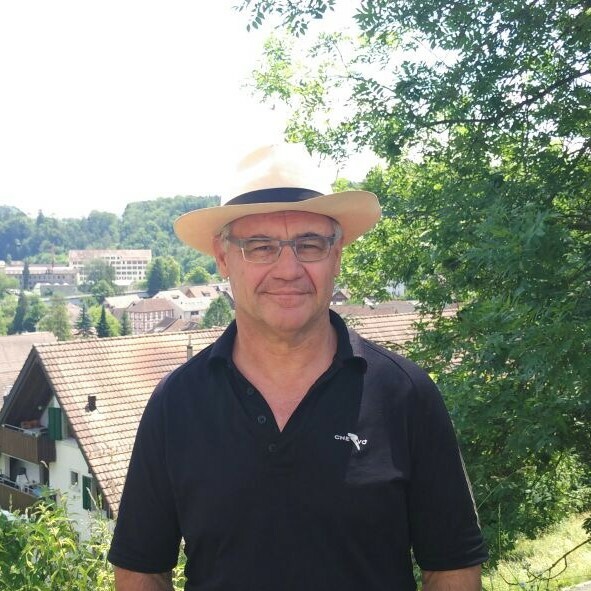 In 2016, he won a partial victory in the high court of Zurich, which turned down demands by the prosecution to convict the 63-year-old of breaching Swiss banking secrecy laws, but upheld other less minor charges. On October 10, 2018, in response to appeals filed by both Elmer and the prosecutor’s office, the Federal Supreme Court of Switzerland will take a final call. Elmer, whose as-of-yet-unpublished data also contains the offshore secrets of 20 ultra-high-networth Indian clients, writes below on what’s at stake. In my view as the accused person, the essence of this highly political and crucial case for Switzerland’s finance industry is if the much-vaunted principle of Swiss bank secrecy can be applied extra-territorially. In this case, whether the banking secrecy can be applied to entities that operate in the Cayman Islands. In the Cayman Islands, the Julius Baer Trust Company Ltd. (Cayman) administered trusts, companies, equity- and debt-funds but also hedge funds on a big scale. Some of those special purpose vehicles held Swiss bank accounts with Bank Julius Baer & Co. AG, Zürich in Switzerland. The statements and other advices associated with those Swiss bank accounts were regularly sent to the Cayman Islands in order to perform administrative tasks for the accounts of those special purpose vehicles. It is because of these Swiss bank accounts that “Causa Elmer” (Case Elmer) has turned into a “Causa Swiss Bank Secrecy” (Case Swiss Bank Secrecy). It particularly focuses on its future, because the crucial question is if Swiss bank secrecy can protect client data outside Switzerland. “You are more dangerous to the Swiss Banking system than the Red Brigade or the RAF terrorist group in Germany used to be to the German political system. The legal proceedings against you are highly politically motivated and driven because it is about the golden calf of Swiss Banking Industry: the Swiss bank secrecy. Every government protects its golden calves. Therefore, the prosecution offices and the Courts of Switzerland protect the money-making-system and not citizens like you who comes forward and discloses crimes. Making financial crimes public would hurt in this case not only the Swiss financial system but also on top of it the question arises what would happen to the Swiss Financial Industry if key players in the financial market of Switzerland like UBS, Credit Suisse, Julius Baer etc. would be investigated by Swiss authorities or even foreign authorities. What would clients think about it and would they possibly withdraw their assets? Therefore, prosecutors and the judges tasks are really not to go after the bank or even after all the violations of the law by Swiss bankers, their true and hidden task is definitely not to investigate certain matters which could hurt the Swiss system but more importantly to go with drastic measure after people like your who made the truth available to the public by publishing matters on WikiLeaks in 2008 and providing information to tax authorities in Switzerland and abroad. Even worse, your case should demonstrate to the Swiss society that whistleblowing in Switzerland will eventually lead to the social, financial and professional death and is simply a no-go in the secret society of Switzerland”. This also tells me why the entire legal case, which was opened under dubious circumstances in 2005, has been investigated and re-investigated several times. The judges of the Higher Court of Zurich acted even as a supervisor of the Prosecution Office and provided guidance. A materially changed indictment was issued in 2013, roughly 70 court rulings were issued during the 14 years of investigation and close to 40 interrogations were performed. My lawyer, Ganden Tethong, has over 180 binders filled with court documents. In addition to this, I underwent two forensic psychological evaluations. To top it off, my wife was accused of having violated Swiss bank secrecy – a tactic I believe was carried out to make sure she was not allowed to visit me during my time in solitary confinement. I had to review 8 million computer files under the supervision of a police officer within three months in order to find evidence to justify my actions. The stress caused by the cases against me sent me to the hospital for three months, where I recovered but then was forced on December 10, 2014 (incidentally, World Human Rights Day) to attend a court trial where I had a second serious collapse within two days and was hospitalised again. This has had a toll on my eleven year old daughter, who attempted to commit suicide, but was able to be rescued by a bunch of brilliant doctors. Family photographs, her computers, her play-machine her first story writings and other parts of her belongings are still confiscated by Swiss authorities. 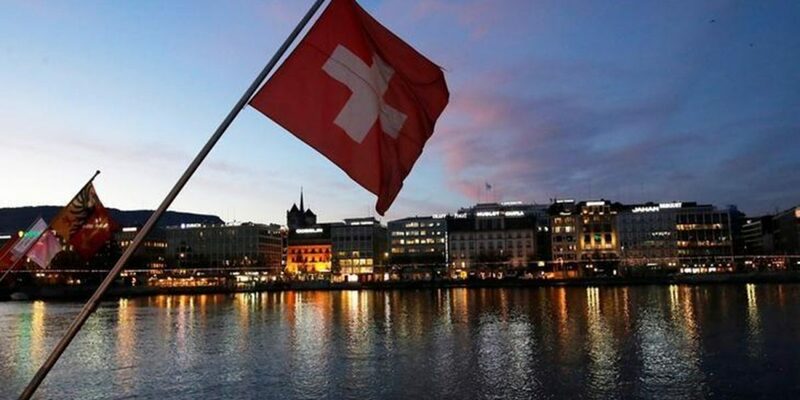 In short, astronomical effort bordering on psychological warfare has been performed in order to make the scapegoat for the difficult times that Swiss bank secrecy has been exposed to in the last few years. The Swiss media has not been helpful to say in the least. Various publications have called me a thief, a blackmailer, a psychologically sick person, a terrorist, neo-Nazi and caused irreversible reputational damage. One newspaper, Die Weltwoche a right-wing magazine, was later found guilty in three court trials of violating my personal rights. However, as a former Swiss army captain of the Air Force, one knows the methodology by which people are mentally destroyed. One also knows how to defend oneself in such circumstances. “Causa Elmer”, therefore, has turned into a “Causa Swiss bank secrecy”. This was clear to me from when a well-known Geneva-based banker stated in 2007 to Professor Jean Ziegler that Julius Baer should make Elmer an offer of hush money of CHF 10 million or so to be silenced and to agree to close the pending legal case which threatens the entire Swiss banking industry as a whole. The filing of the complaint by Bank Julius Baer & Co. AG, Zurich was a big management mistake. This case should have been solved with a cordial or gentlemen agreement which was common in Switzerland in those days. On October 10, 2018, the five judges of the Federal Court of Switzerland will present their view and their rulings based on the governing law of Switzerland which currently requests a Swiss banker to be under Swiss bank secrecy law if he/she holds an employment contract with a bank that is domiciled in Switzerland and holds a Swiss banking license. Julius Baer Bank & Trust Company Ltd., Cayman Islands is neither domiciled in Switzerland and does not have a Swiss banking licence. During the time of my employment, from 1994 to 2002, I held a Cayman employment contract with the sister entity of Julius Baer Bank & Co. AG, Zurich and had no reporting requirements to fulfill to the Swiss bank at all. Therefore, according to leading Swiss legal experts, Swiss bank secrecy cannot be applied in my case. The agreement with Bank Julius Baer & Co. AG, Zurich in respect of pension matters is by far not a Swiss employment contract because most of the key elements of an employment contract are missing. Besides this, for the very same time period, there was the true Cayman employment contract applicable. It appears that the true employment contracts were kept deliberately as long as possible out of the court files. Only when two well-known legal professors, Mark Piet and Thomas Geiser, gave a second opinion to the courts, the judges of the Higher Court of Zurich were mostly forced to issue an acquittal in my case for charges related to violation of Swiss bank secrecy laws. The present causa of Swiss bank secrecy must be keeping the Swiss banking industry’s biggest clients on their toes. Why? Because ultra high networth individuals all over the world and even multinational conglomerates, who use special purpose vehicles administered by Swiss banks holding a Swiss bank account, will be very keen on knowing the outcome of the Federal Court ruling. First, is it a fact that Swiss bank secrecy ends at the boundary of Switzerland? Second, what happens to a client’s offshore structure (trusts, companies etc.) if it holds a Swiss bank account? Or put another way, how is it protected outside Switzerland? Third, it is known that Swiss banks have outsourced accounting administration to so called low-costs countries such as Poland and therefore the question is how and under which law is my data protected if it is outside Switzerland in a so-called out-sourcing centre? Fourth, in confirming the partial acquittal granted to me by the high court in 2016, with regard to violating Swiss bank secrecy, could this allow future and potential whistleblowers to come forward and make even more offshore data public? Considering all of this, the Federal Court of Switzerland one or the other way will come up with an important verdict not only for me but for the future of Swiss Bank secrecy and the Swiss Banking industry. The entire case is one for the history books, dealing as it does with one of the world’s best known secrecy laws. The outcome of the court ruling could also cause big change in the Swiss Banking industry as it puts a spotlight on questions that very few people in Switzerland’s financial industry have raised or want answered.